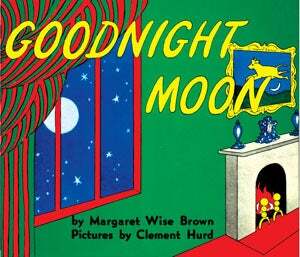 For an entire year — maybe more — one of my parents read Goodnight Moon aloud to my brother. Even though after month three they could recite it from memory and wanted nothing more than to say Goodnight to it forever, they still turned the pages with him each night before he went to sleep. Apparently, this has made him into the upstanding citizen he is today! When parents read aloud to their children says professor Barry Zuckerman of the Boston University School of Medicine, it improves language, emotional and social development. (Gripping the pages between their thumb and forefinger even helps children develop their fine motor skills.) Zuckerman tells the Guardian: "Children ultimately learn to love books because they are sharing it with someone they love." When I was a little one, my favorite read-aloud books were Are You My Mother?, The Lorax and, embarrassingly, Where Did I Come From. [I brought that to my 3rd grade class to snicker over it with my classmates and got sent to the principal's office. -Ed.] What's going to be on the reading list for your future/current spawn?